Washing is not something I would easily call a hobby for many of us. The reason is simple; it is work at the end of the day. Albeit a necessary task, we can always try to look for alternatives far from the usual that make our cleaning less tedious, faster and more interesting. Another sort of cleaning that we do most often than not is the cleaning of flat surfaces. This could be any surface from your car window, concrete floor, your tires or brick or stone surface. These are some of the most notorious places to wash especially when it comes to doing both the scrubbing and washing at the same time. The Broom Jet is a 14 independent water jet broom that enables you to clean flat surfaces in the most sparkling, easiest and fastest way. The broom comes with an in-built sponge. It also allows you to do both the washing and scrubbing at the same time. It comes in the most affordable price too. They sell one broom jet at the cost of $29.95 plus $6.95 for shipping and handling. 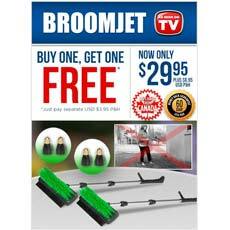 You can pay one broom jet as stated above and an additional $3.95 for an extra broom jet. They offer a 60-day money back guarantee. The Broom Jet is a product made by the company; Broom Jet. The manufacturers claim that the broom jet is a very efficient broom, given they mention its ability to allow you to double task; all in the while making it fast and easy. They also claim that their broom jet clean all flat surfaces such as the stone, concrete, marble, stone, glass, stucco, tile, asphalt, tires and wheels, all in the while without scratching clear coat surfaces. They also have provided telescopes for hard to reach surfaces. How does Broom Jet work? The Broom jet works with a simple concept. Water is passed through the hose pipe connection at a pressure that allows you to both wash and scrub at the same time. Minus the hose pipe the broom jet gets to be used to clean using its bristles. This is in accordance to the surface you are washing. To enable water come down under pressure allowing easier washing. To enable view hard to reach places. For regulating the water. From the water jets. 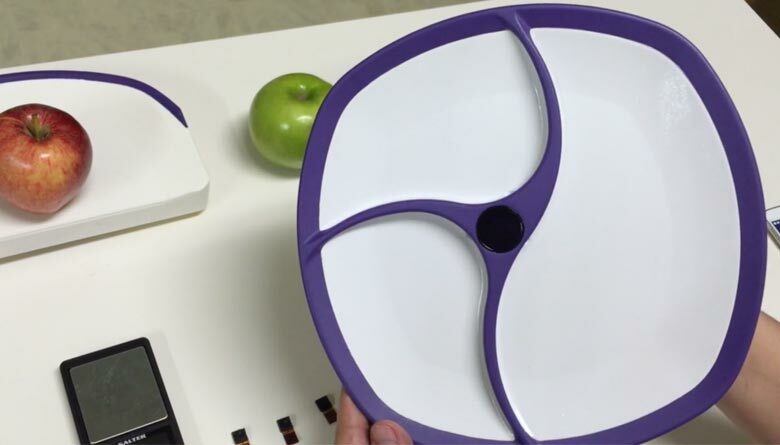 It is very easy to use and light to handle in an efficient way. Is compatible with various house pipes. Does not damage clear coat surfaces. Cleans a variety of surfaces such as brick, stone, marble and tile. Is flexible for use for a wide range of washing. The broom jet is a very easy, fast to use and efficient broom to use. Its actually one of the best if not the best compared to other brooms you will find in the market. Connect your broom jet to a hose pipe. Make sure to adjust the water pressure according to your need using the flow control switch. You can also not connect the broom jet to the hose pipe and use the bristles to sweep. It is good to store the Broom Jet in a place that is safe for maintenance and longevity. The Broom Jet has been made carefully to ensure that it is safe for everyone’s use. The broom jet is first an easy to use and handle broom which is the first two important factors to consider. It then contains up to 14 jet holes for enabling needed pressure be exerted to the surface of cleaning, making it efficient and fast. Another thing is that the broom comes at an affordable price even without adding the extra broom offer. The broom jet makes your washing a fun experience without causing any damage. This is one broom jet you may want to consider putting into your shopping list; it is an excellent choice for saving money, time and energy in the long run. 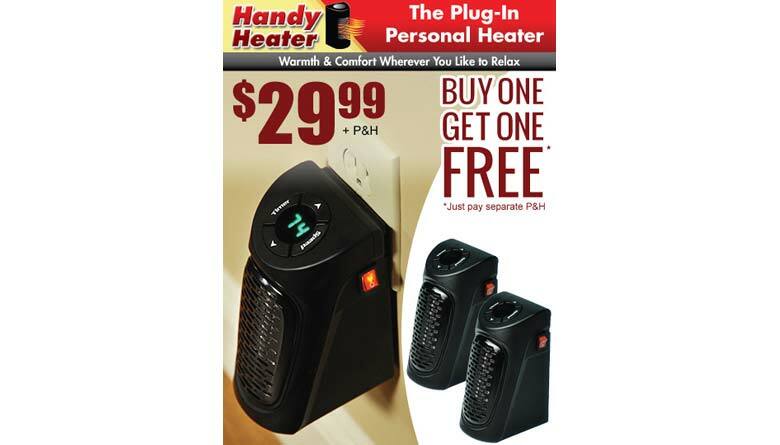 Handy Heater Review: Does Handy Heater Provides Instant Heat?